Before I verbally destroy this album, let me begin by stating that I think Lupe Fiasco is a great artist who manages to avoid rap clichés without sounding like a rhyming science teacher. But that still doesn’t change the nastiness of Lasers. Lupe’s nemesis, record label Atlantic, should have realised there is nothing more awkward than pairing a ‘conscious’ rapper with Bieber-esqe production. Instead of sounding futuristic and unique like his first two albums, Lasers tries painfully hard to sound relevant, and packs 11 no-name producers with 10 ill-fitting guests. 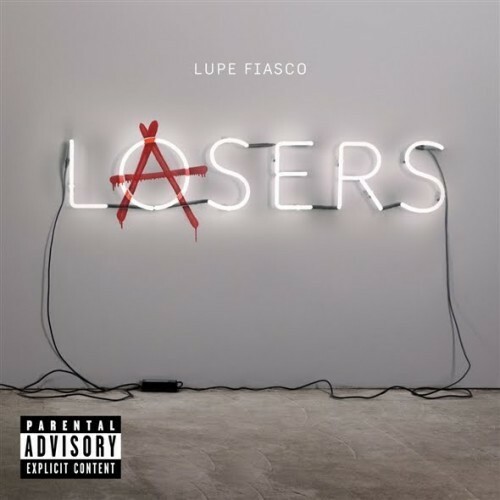 Lyrically nothing has changed and Lupe is as fresh as ever, but that’s not enough to save this album from the dire David Guetta sound-a-like production on ‘Break The Chain’ and the overuse of Auto-Tune on ‘Beautiful Lasers’. My recommendation is you buy ‘All Black Everything’ from iTunes and forget the other tracks quicker than your most painful memory.